Every month, the Federal Communications Commission holds an open meeting on policy. This month's was a bit more interesting than chairman Ajit Pai had expected. In the middle of one of his statements, numerous audience members stood up and started singing the internet's favorite song; Rick Astley's Never Gonna Give You Up. Their rendition included modified lyrics like "a common carrier's what we're thinking of" and "we wouldn't sing this to any other Pai." Once Pai realized what was happening, he even began singing along to the chorus. The group of protesters was organized by the Free Press as part of their continuing opposition to the FCC's coming plans for net neutrality. They were one of the strongest supporters of net neutrality back in 2015 when the rules were first approved by the FCC. Timothy Karr, senior director of strategy at Free Press told CNN that they "used a popular Internet meme to demonstrate the power of the Internet," and that they are "exploring all sorts of tactics when it comes to protesting in favor of net neutrality." Chairman Pai is a well known friend of big telecom companies and there have been reported meetings between him and industry leaders over future legislation. 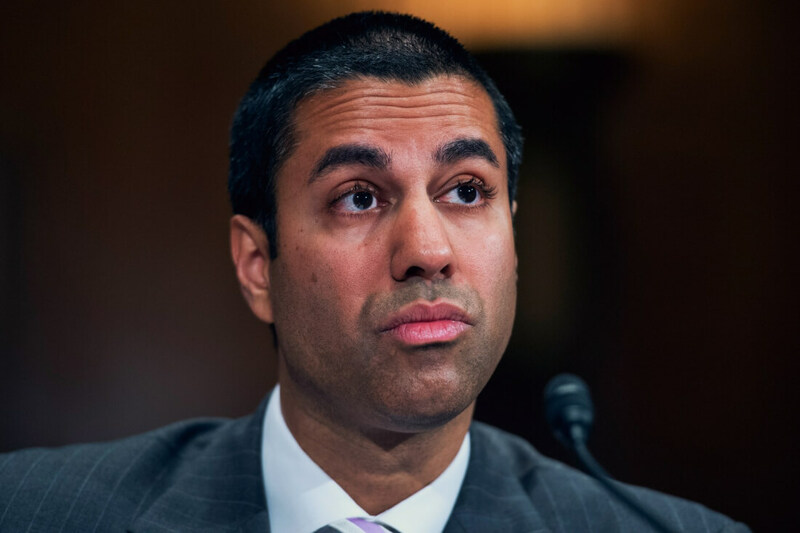 Ever since Pai was named chairman by president Trump, internet advocates have been worried about his ties to the industry and his active stance against net neutrality. Pai's proposed plan includes undoing common carrier legislation and oversight of ISPs. The new plan essentially will ask carriers to play nice and not break the rules, something they haven't historically been very good at. I think someone will need to explain to them how you get Rickrolled. ForgottenLegion, Tosikko and Greg S like this. BRAVO for those that spoke their mind. Ajit Pai is a traitor to the Average American, arbitrarily removing those few protections to our personal privacy with no more reason than to expand commerce and allow companies to steel and use our information against us. Did Trump hand pick this clown and if so, what happend to his "buy American, hire American" policy? atlasica and Panda218 like this. LOL @ "buy American, hire American"
Maybe you are right after all. He couldn't get any deeper into the telecoms companies pockets. How anyone like this is appointed to do what's right for the public is beyond my comprehension. How is there not a conflict of interest?? ?